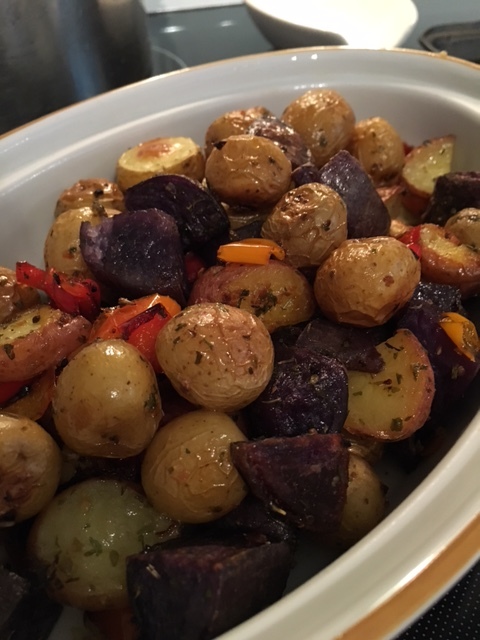 Roasted baby potatoes with peppers is the perfect side dish for roasted meats at dinner. Try these for breakfast, too, instead of hash browns. Easier, healthier (less fat!) and simple to make. What a treat. 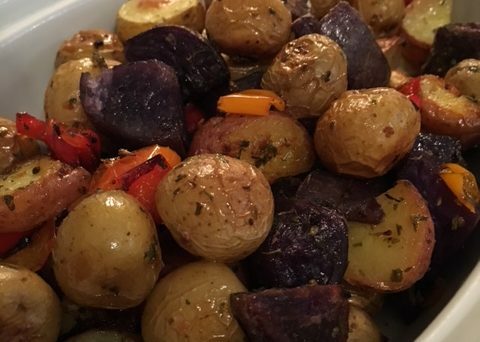 Find a bag of tiny multi-colored potatoes. I was lucky to find white, purple and yellow potatoes. Use a variety of tiny peppers, too. Yellow, red and green. Cooked together, these make a beautiful display in a white bowl. Wash and scrub the potatoes. Chop peppers into medium size pieces. Toss with olive oil, chopped garlic, and oregano. Roast at 425 degrees for about 20 minutes, depending on the size of the potatoes. Grind some black pepper and sea salt liberally over the top before serving. 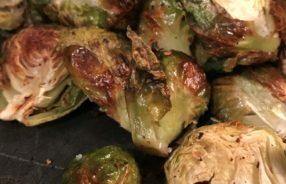 in "brussels sprouts, recipes, side dish"